Godzilla has had a rough time getting an American follow-up to 1998's less-than-stellar theatrical debut. However, the new movie seems to have taken a step out of development hell thanks to the news that it has a director attached: Gareth Edwards, the man who directed the well-received film Monsters. Edwards is apparently going to be working on the movie's script, long with another writer who has yet to be hired/announced. There's already a screenplay written by David Callaham, though it's not certain how much (if any) of it will be kept. Monsters was made for only $500,000 and was supposed to be amazing on several levels (if it came to Flagstaff at all, it was gone before I was able to check it out). 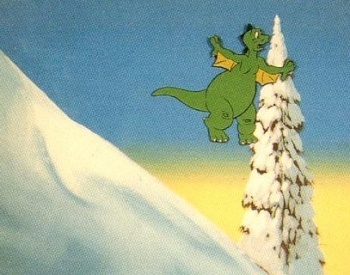 If there's anyone who should be able to make a great Godzilla movie, I'd imagine it's Edwards, so long as Godzooky (pictured here) doesn't make an appearances. Thanks to The_root_of_all_evil for the tip!